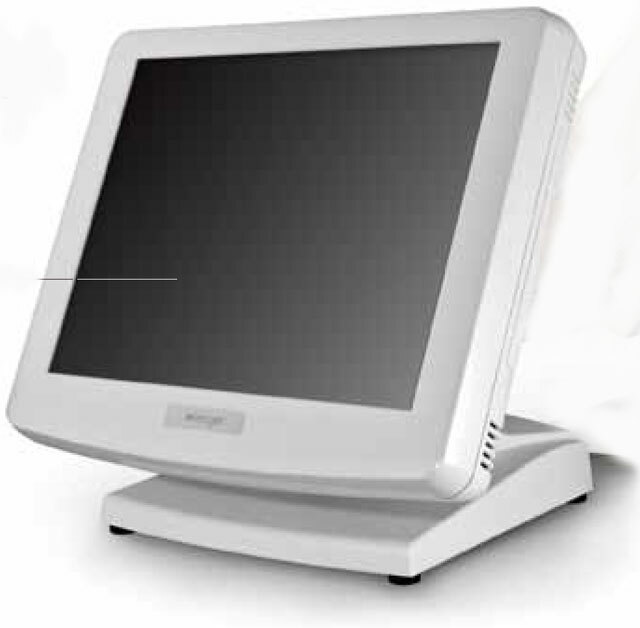 The new KS7500 series of all-in-one touch screen terminals from Posiflex is a new fan-free, spill and dust resistant series of 15″ and 17″ touch screen terminals ideal for applications needing performance at an affordable cost for end users in hospitality, retail, healthcare and more. With a powerful embedded dual-core Intel Celeron processor, the KS7500 series lets users choose between 15″ and 17″ projective capacitive, resistive or infrared touchscreens with a sleek wall mount or freestanding base. It can also be fitted with an alternative universal base that internally integrates the power adapter, USB port and optional back-up battery. Posiflex offers a three-year warranty on these solutions, which are also vigorously third-party tested to ensure durability in harsh conditions and rigorous daily uses. The KS7500 series is fully compatible with all current Posiflex peripherals, including printers, magnetic stripe readers, keyboards, PIN pads, rear customer displays and biometric fingerprint readers, ensuring seamless installation and integration into end users’ existing Point-of-Sale systems. “Value-added resellers will appreciate that this product has been vigorously tested as well as pre-certified by Posiflex’s top ISV partners,” Easton continued. “This unit is ready for the channel on the day of launch!” The Posiflex KS7500 series is now available. For more details on the new KS7500 or any other POS terminal, contact us at BarcodesInc. « The New Apple iOS Compatible Star SM-T300i Printer!